As might you know, i'm not a big fan of cake. I rarely eat cake, even on my birthday. That's why my family don't bother anymore buying me a birthday cake, cause i never eat them. Then one day i found a cake that i like, it's a tiramisu, but it was so far away from home, like really far (out of town), so we never buy it anymore. It's one cake that i ever like. 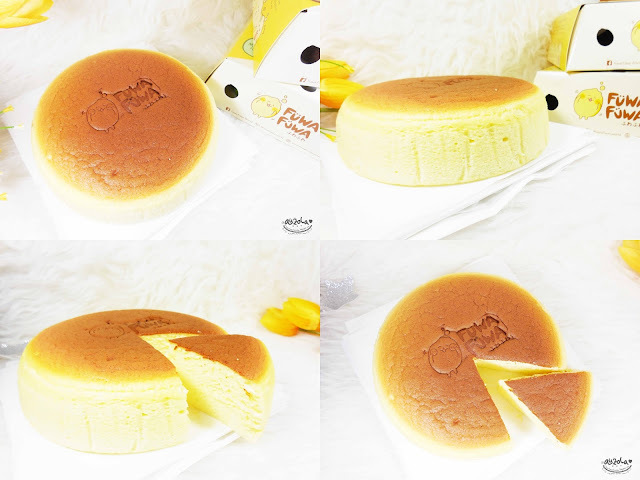 Then i also stumble upon a tasty Japanese cheese cake few months ago and i'm in love with it as well. Then it's two. Yup only two favorite cakes, actually only 2 cakes that i will actually eat with joy. Then Fuwa Fuwa happened. Well why i tell you this story again? I tell you this story because it's important for you to know how tasty is this fluffy cake that makes me want to eat cakes all the time hahahhaa. 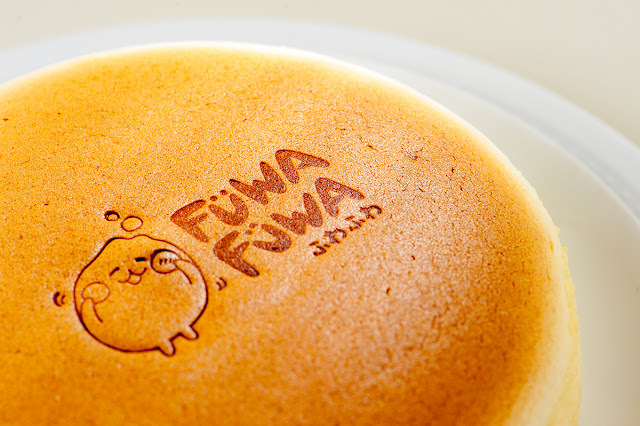 Then guys, one day i got a chance to try this Fuwa Fuwa Japanese Fluffy cake! Actually at first i was like kinda afraid to try since i'm afraid i might not like this cake, seriously. I'm not really a try-food person kinda like, most of the time i always stay with the same menu, kinda picky but i do loves a great food. 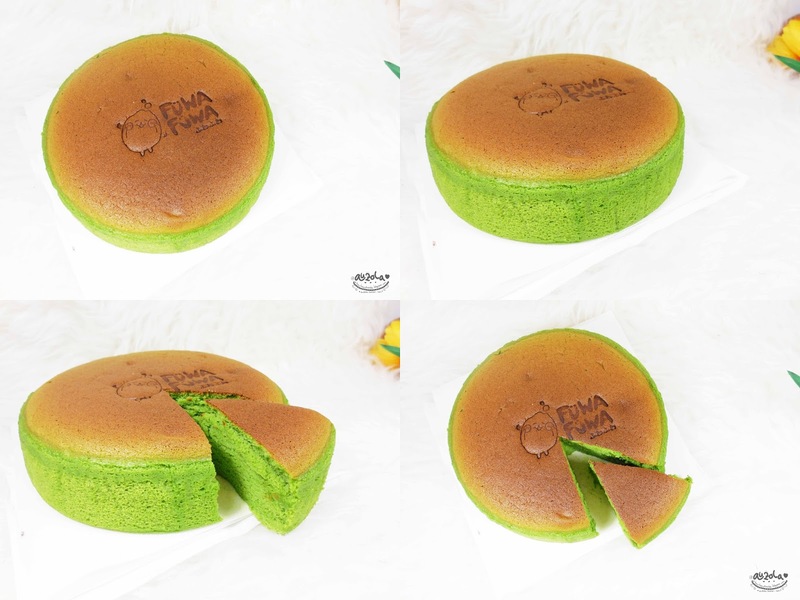 But then again, i already saw this kinda cake a lot at my facebook page, quite many friends actually share this fluffy cake video and it's so bouncy that i actually curious to try. Especially since everyone who share that kinda video always mention how they like the cake etc. 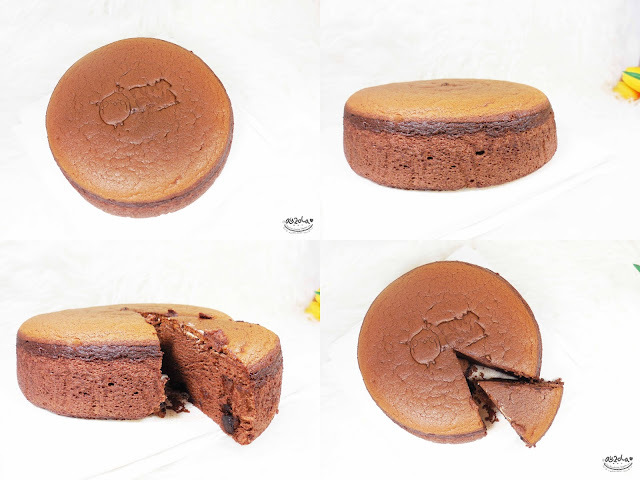 So my curiosity and the cake's bounciness (at least from the video) beat my fear of trying new food, hehehe. 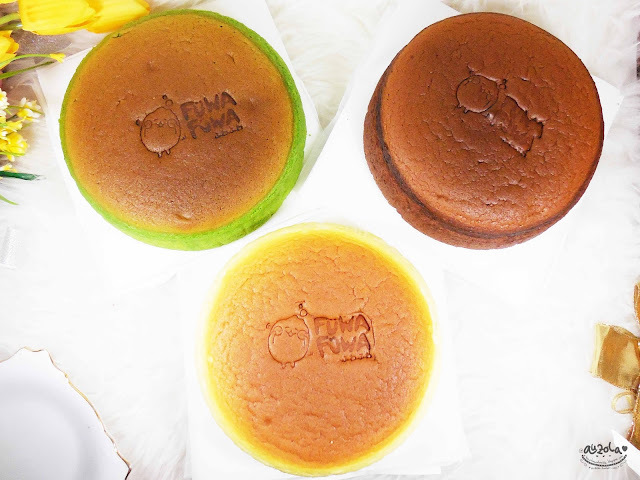 Then, lucky me, i got to try all three of Fuwa Fuwa World Japanese Fluffy cake variants! Yes all three of them! 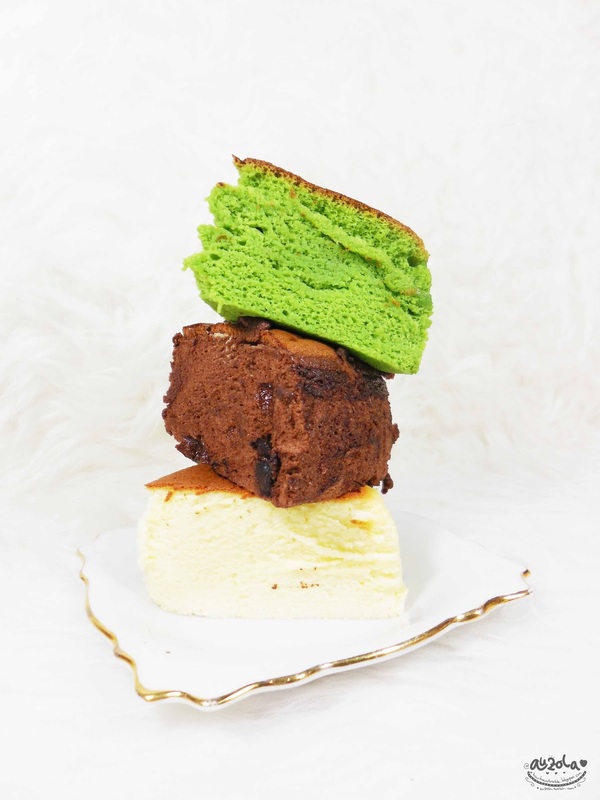 Cheese, Chocolate and Green Tea! So excited, especially when i saw it bounce really nice when i go to Fuwa Fuwa World store at Elang Laut, PIK. First impression? OMG, it's so fluffy, the fluffiest cake i ever eat for sure! 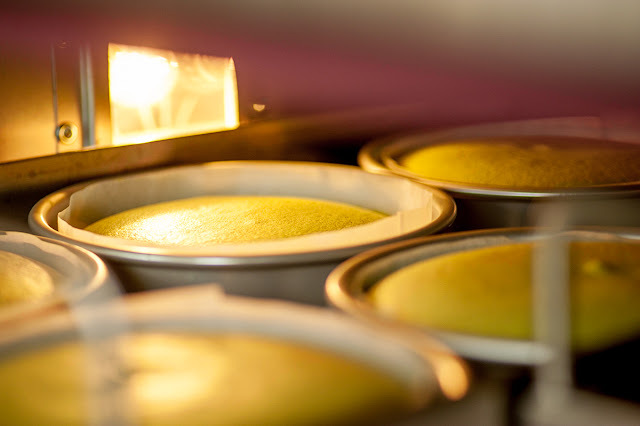 Plus it's always a freshly baked cake, so the taste is even better! I like it from my first bite!! It rarely happen for a cake, like seriously, i'm not exaggerating. Other jaw-dropped moment is my boyfriend actually loves it too! Like me, he doesn't really like cake as well, even two of my favorite cake before, uh uh, not one he likes. Usually he will just say like, yes it good. But just that, with flat face. 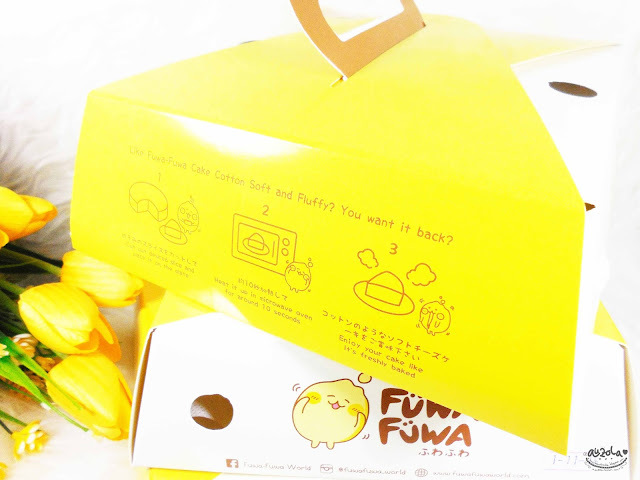 Then when he tried Fuwa Fuwa he actually likes it and without second thought he bought the cake! Oh he also likes the Fuwa Fuwa bites! It's like a snack cake. It's also nice, so crunchy in a fluffy way. We ate it on the way home and my favorite is the chocolate one. 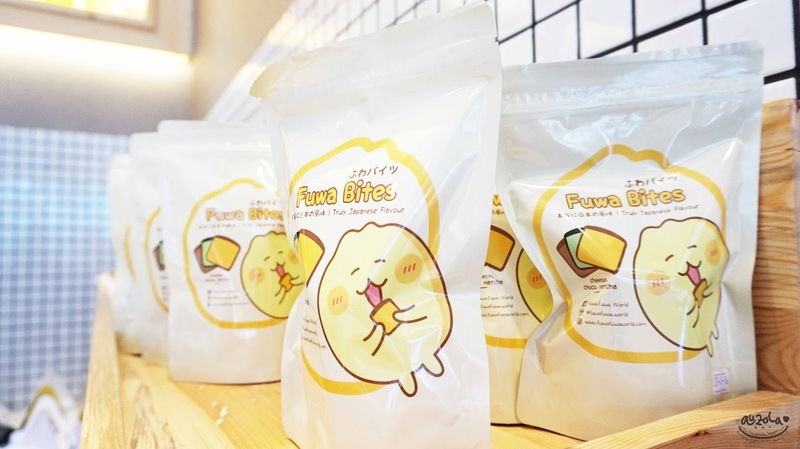 The Fuwa Fuwa bites contain all three flavor inside one bag. We can't stop eating them hahahhaa. First let's see the box. 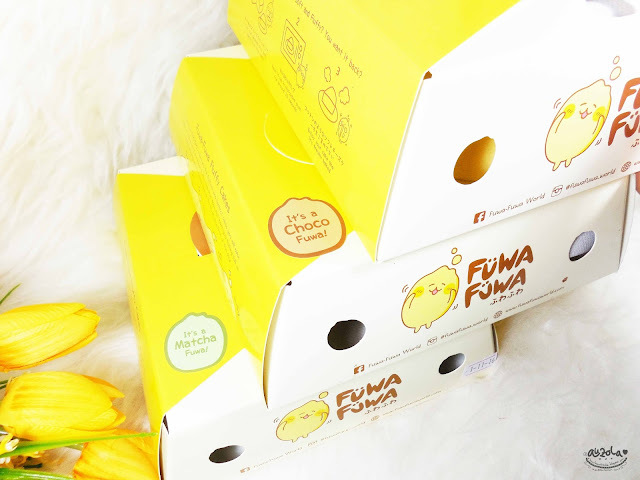 So, the box packaging is also cute with yellow color and Fuwa-fuwa mascot, Fuwa-chu, on the packaging. I really like the cute packaging hehehe. Well, if you buy the original, the box will not have any sticker, but if you buy the green tea or chocolate, you'll get sticker on top of the box either "it's a choco fuwa!" 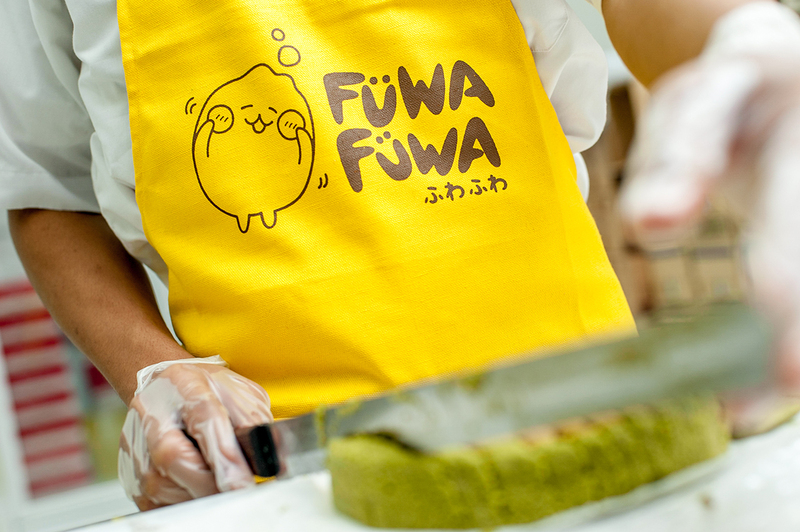 or "it's a matcha fuwa!". Yes, the warm cake one is even more fluffy and way tastier. But when i kept them on the fridge and let them cold, it turns out even tastier for me! I like the cold cake, the cake turns like a creamy paste, but it's a cake. It taste super nice! Truthfully, i like it even better when it's a bit cold, kinda taste like an ice cream, melting in my mouth, yumm. You can also warm in using microwave for 10sec if you want it hot, but i like it a bit cold. Like i said yummm. My favorite is cheese and chocolate, green tea is also nice, but i kinda bored with green tea flavor. Other than the fluffiness, i love how the cake have the perfect amount of sweetness. Most of the time i can't really consume something that way too sweet, it makes me dizzy. 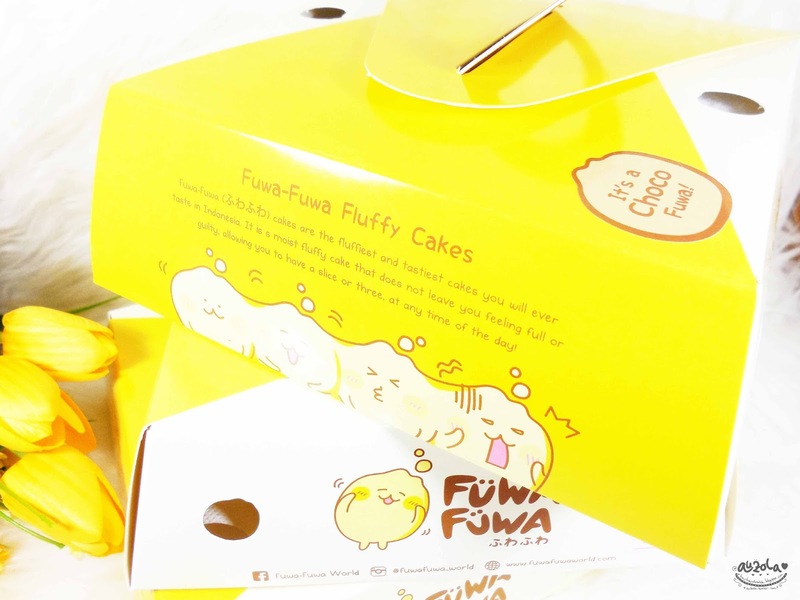 But fuwa-fuwa cakes, even the chocolate flavor ones, has a perfect amount of sweetness, not too sweet, just perfect. The cheese flavor has this nice taste too, the cheese amount is too, perfect. And the chocolate, taste like heaven, it even has choco-chips inside! Green tea is also nice and quite perfect if you love green tea. Totally gonna buy them again!! Love love love. You should totally try this cake, you won't regret it for sure. At least me, my boyfriend, my brother and my family loveeee Fuwa Fuwa Cakes. It surely the fastest cake to be gone from my fridge. Hahahaha. You can get it at Fuwa Fuwa store at Elang Laut Boulevard PIK (Blok C no.36) or at their new store at Central Park (LG level)! 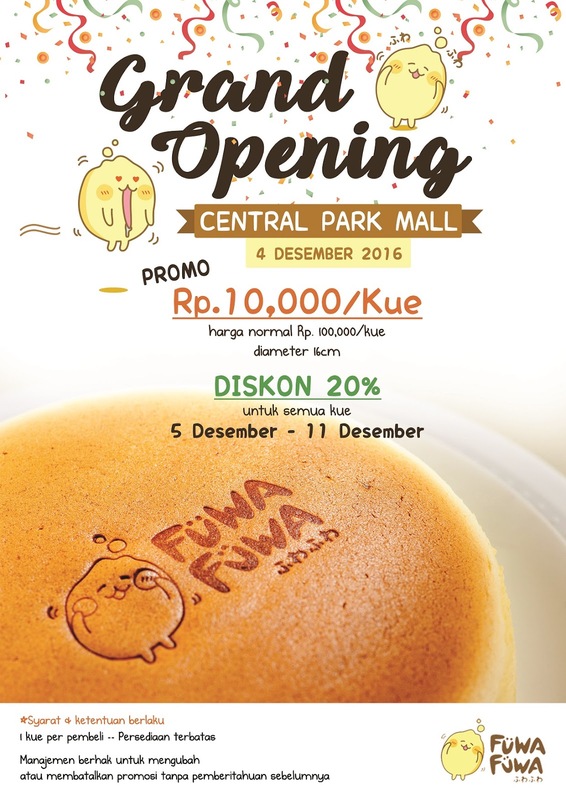 Psssttt, they will have a BIG PROMO at Central Park grand opening this 4th december!! 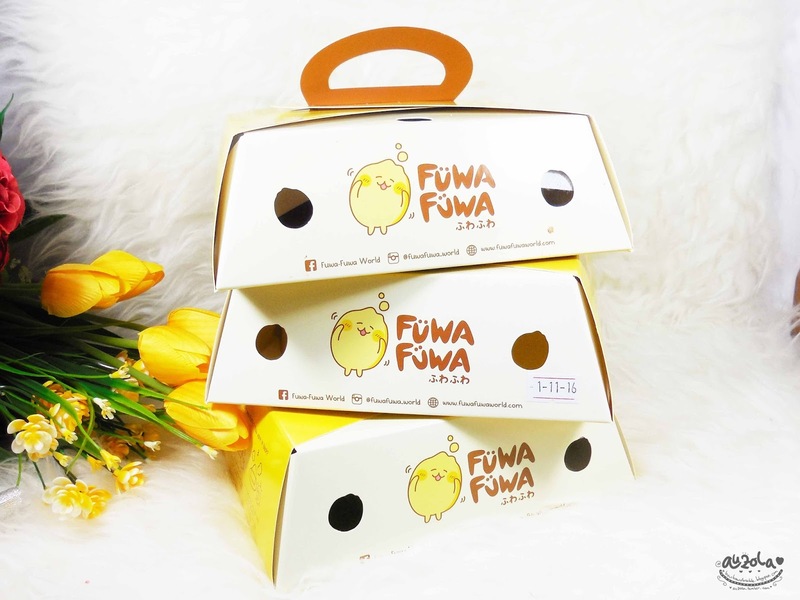 Only IDR 10k / cake!!! And another promo, 20% all cakes on 5th- 11th december! Say no more, you should definitely visit on their grand opening! 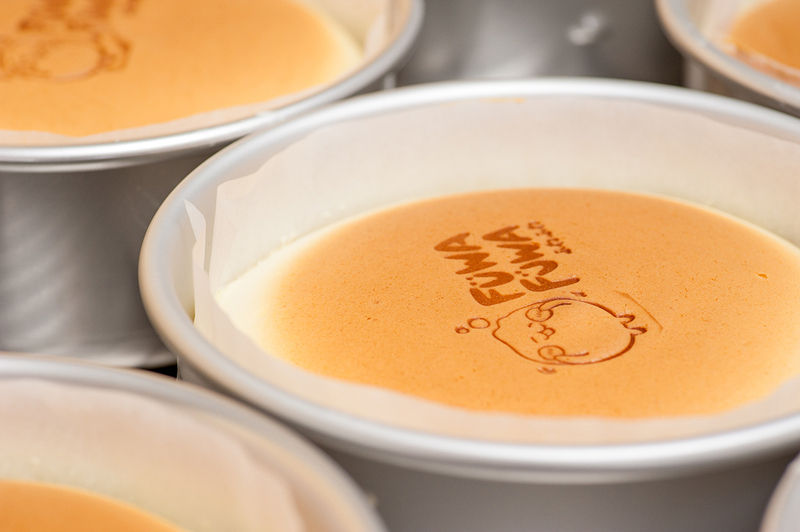 p.s all cakes are freshly bake and they have a baking time of 15 minutes for 12 cakes so queue is to be expected. 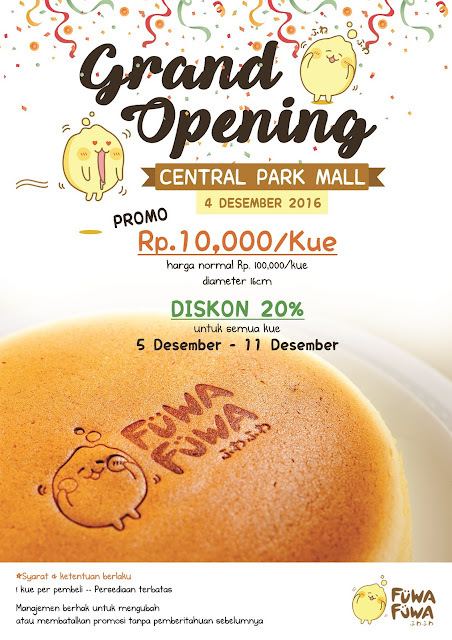 Fuwa Fuwa only able to bake to a maximum capacity of 500 cakes a day and everything will be sold at the mentioned price (IDR 10k on grand opening 4th des). So, please be patient and don't get angry or upset if you don't get to purchase because they already at their limited if 500pcs is sold off. Me want the cake, the chocolate one and cheese cake one. Anyone? Pretty please send it to my home hahahahha. Okay fine, i'll stop writing, see you guys on my next post!